We Conduct Job Training - Learn more! 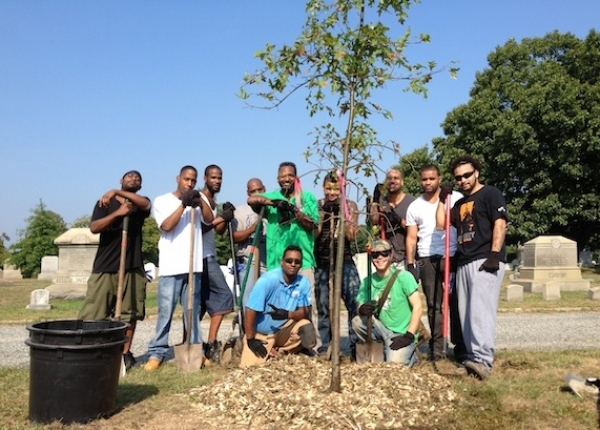 This picture shows some of the participants in our EPA-funded Environmental Job Training Program at the North Burial Ground in Providence where they honed their skills and planted trees. Learn more about our Summer Green Team employment program here! Green Team members at the Ninigret National Wildlife Refuge in Charlestown, RI. Stay up to date on Groundwork Rhode Island's projects and events by checking out our calendar page! 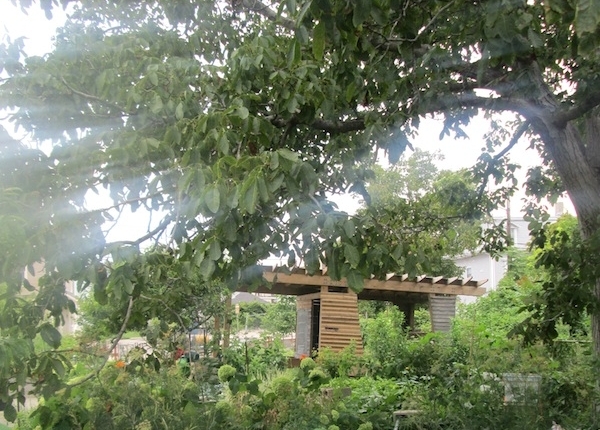 Groundwork Rhode Island is building and maintaining green spaces across Rhode Island's urban communities! Groundwork Rhode Island is a non-profit, community-based environmental organization dedicated to creating healthier and more resilient urban communities in Rhode Island. 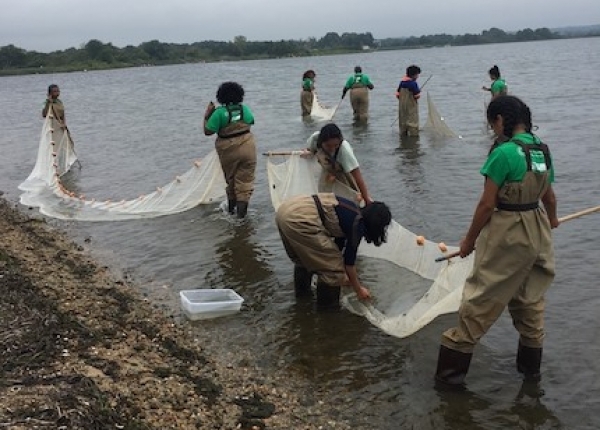 We achieve this through our many urban stewardship programs, which create economic opportunity for Rhode Island's urban residents, and at the same time physically improve our shared urban environment, especially in economically-distressed areas. We believe our mission can only be achieved by meeting the community's dual needs of environmental sustainability and economic prosperity in partnership with residents, businesses, and other partners. Groundwork Rhode Island works with its numerous partners in various ways to help develop, protect, and preserve the city’s natural environment and create a sense of place by building strong neighborhoods.